Knowing your camera sensor parameters can be important. Simply getting to know certain aspects of how your camera performs under certain conditions can help determine, for example, optimum exposure times for your average imaging night sky. In 2014, while on a week holiday in Portugal, I could not stay away from astrophotography and spent many hours reading up on the idea of ideal exposure time with one's own camera sensor parameters as well as average imaging night sky. I found quite a lot of information, chose certain mathematical framework, condensed it, added my own empirical evidence and from it all, created a spreadsheet-based Optimum Exposures Calculator. The instructions detailed on the linked page instruct the user on how to make use of this excellent guide to imaging (guide because nothing is set in stone!). As of version 0.3.1 of the script, supplied with PixInsight version 1.8.4.1195, the script appears to have a dark frame exposure time limitation of 999 seconds. It is also recommended that the difference between exposure times of both dark frames be about ten times. Therefore, you could use a dark frame of 1 minute exposure time and another of 10 minutes exposure time. The seconds values of 60 and 600 are allowed in the script. A tidy limitation could be 1.5 minutes and 15 minutes (90 and 900 seconds - still allowed within the 999 seconds limitation). For monochrome or one shot colour CCD camera users, simply activate the cooling system of your CCD camera (set the imaging temperature you normally use if your CCD camera has setpoint cooling). Your images can also be used as is, as they tend to be either monochrome FITS files or Bayered FITS files for one shot colour CCD cameras (these appear as monochrome when opened in PixInsight until they are Debayered). If you have a one shot colour CCD camera, do not Debayer your FITS files - the script needs them to stay Bayered. For DSLR camera users, the situation is a little bit different. By default, PixInsight will appear to Debayer your images as they are opened in their captured RAW file formats (all the variants thereof). You should therefore force PixInsight to open your RAW images as Bayered monochrome images. 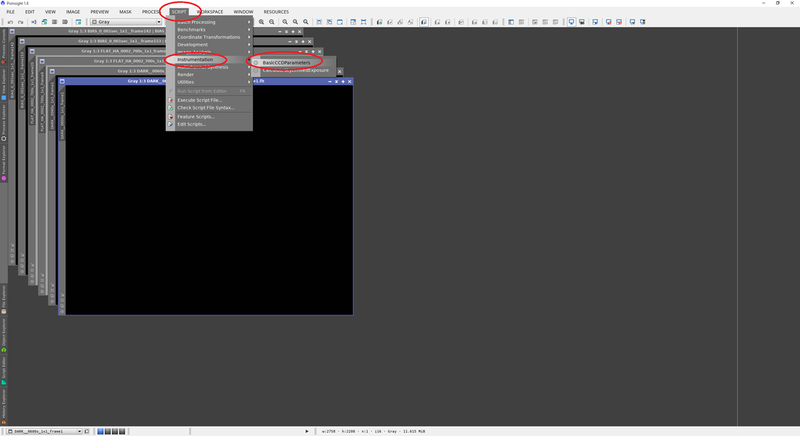 To do this, simply open PixInsight, click Format Explorer on the left side toolbar, select DSLR_RAW from the list and then click the Edit Preferences button on the bottom. By default, the de-Bayer RGB options are selected. To select the correct options for PixInsight to correctly deal with your DSLR RAW images, simply click the Pure Raw button on the bottom left and click OK to confirm. These settings are maintained even if you close PixInsight. 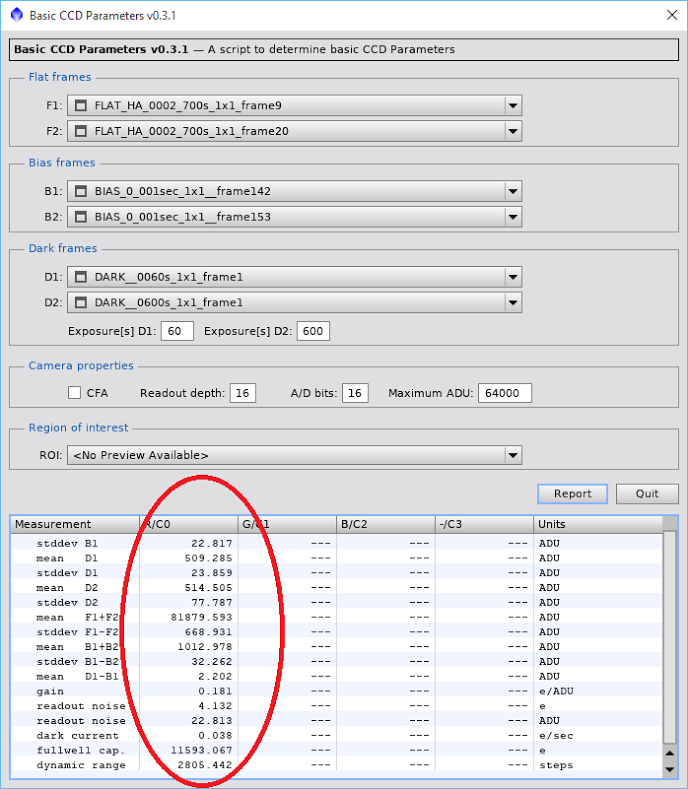 If you are using a DSLR camera, you are now ready to make use of the Basic CCD Parameters script. If you are using a cooled CCD camera (monochrome or one shot colour), you were ready a few minutes ago! Use your camera at standard imaging conditions. If it is a cooled CCD camera with setpoint cooling for example, activate the cooling and set your usual imaging temperature. Wait until the sensor reaches the set temperature. If it is a DSLR camera, take it outdoors on an average night and let it cool for a while outdoors before starting. Once your camera is ready, capture two bias frames and two flat frames (via your favourite, tested and working method - a flat field generator or lightbox is excellent for this!). Now capture two dark frames of different exposure times. Stick to the recommendation of having one of the dark frames be ten times the exposure time of the other. I would capture a 60 second one and a 600 second one, or a 90 second one and a 900 second one. Do not bother going above 999 seconds as the script apparently does not let you enter numbers larger than 999 seconds for dark frame exposure times. Once you have captured your data, you can put away your camera. It is time to go to PixInsight. Open all six images. With all six images open, it is now time to open the script. 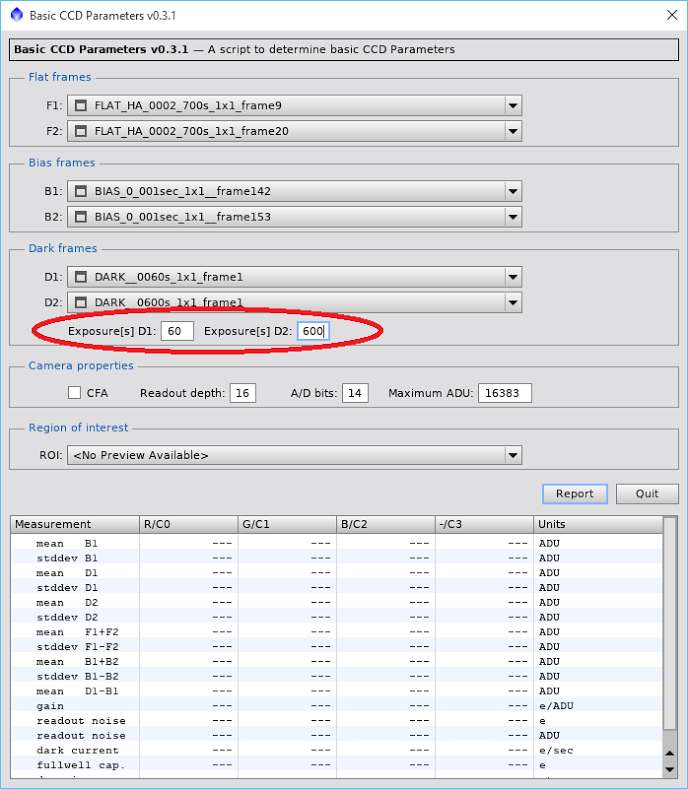 You will find it under the Script menu at the top of PixInsight, under the category Instrumentation. The script is called BasicCCDParameters. 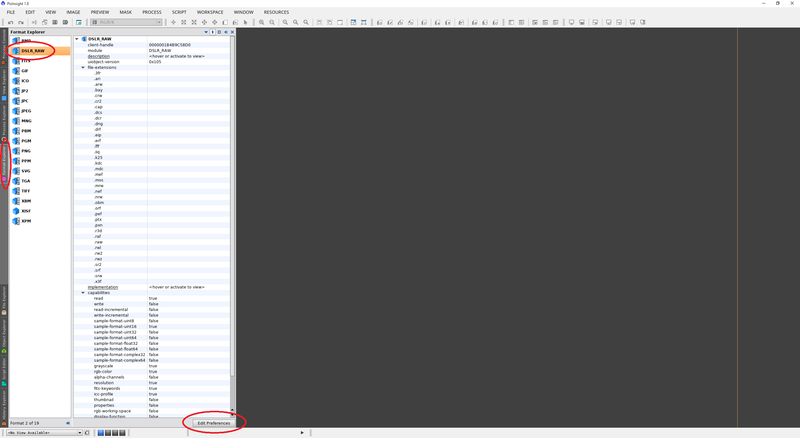 ​Simply select both your flat frames in the drop-down menus for F1 and F2. 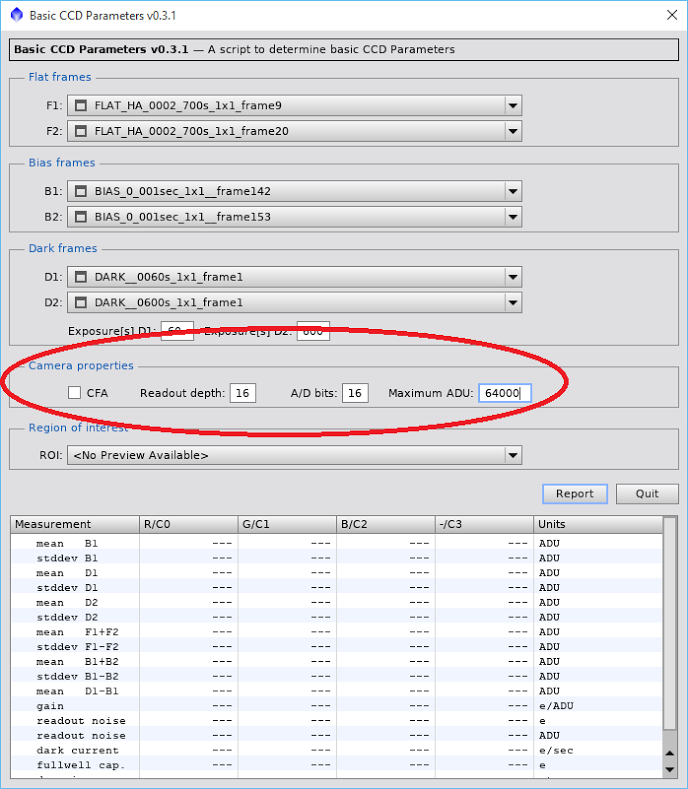 Select both your bias frames in the drop-down menus for B1 and B2. Finally, select both your dark frames in the drop-down menus for D1 and D2. We will need to enter the correct exposure times for the dark frames. Above, my selected dark frame for D1 is 60 seconds and my selected dark frame for D2 is 600 seconds. Therefore, I enter 60 in Exposure(s) D1 and I enter 600 in Exposure(s) D2. ​Finally, we move on to the section titled Camera properties. 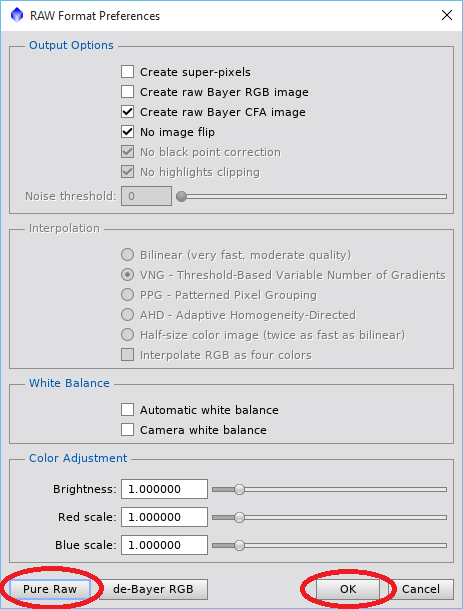 Here, if you used a one shot colour camera, be it a CCD camera or a DSLR camera, enable the CFA option. If your camera is a monochrome CCD camera, leave the CFA option disabled. Generally speaking, today's cameras output either FITS or RAW images that are all in 16-bit format. Therefore, Readout depth is generally left at 16. 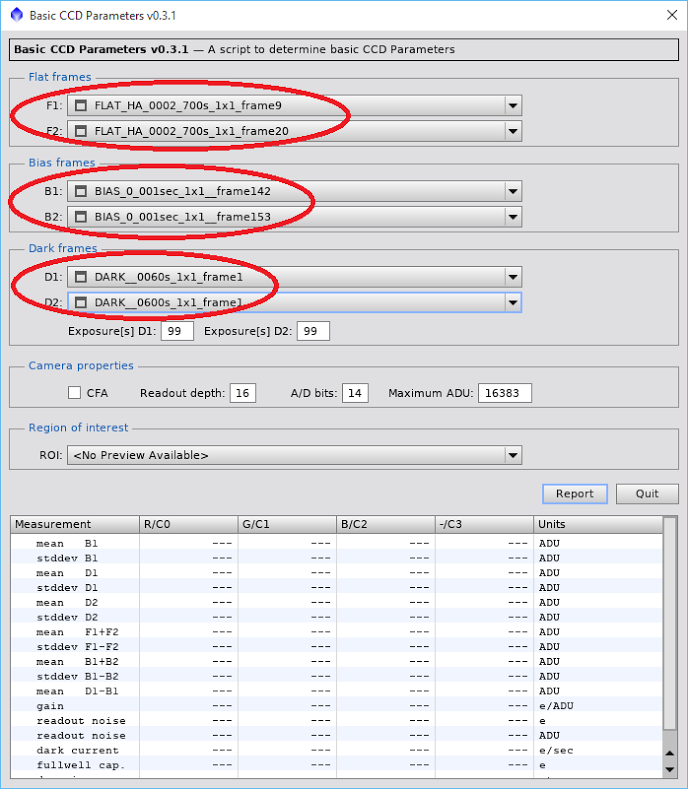 A/D bits refers to the image capture bit depth of the camera you use. Generally speaking, DSLR cameras tend to capture images in 14-bit in RAW mode. 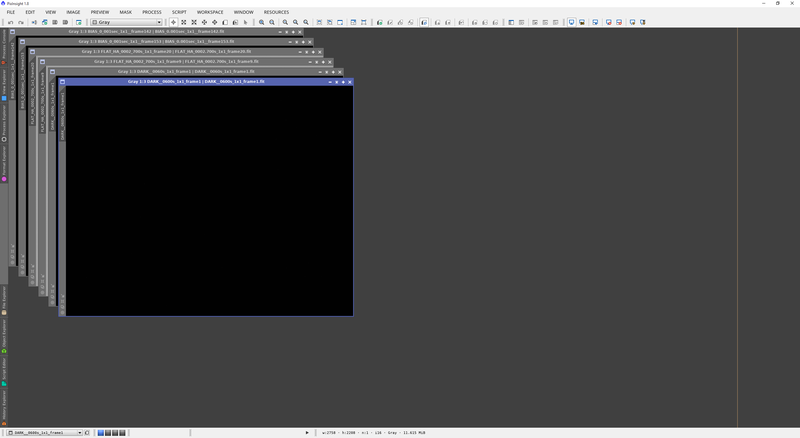 Some may capture in 12-bit in RAW mode. You are recommended to look up your specific camera for the image capture bit depth in RAW mode. If however you use a CCD camera, chances are the image capture bit depth is 16-bit. Whichever value it is you find, enter it in A/D bits. Finally, Maximum ADU. ADU is the unit given to the pixel value across digital images. 16-bit images range between 0 and 65,535 pixel values (0 representing black and 65,535 representing white). Not all cameras saturate to complete white at 65,535 specifically. For example, the Sony ICX694 sensor in my QSI 660wsg-8 monochrome CCD camera saturates to complete white at 64,000. To find out, simply capture an unreasonably long flat frame (say, 10 seconds to 30 seconds) with a bright source of light and analyse the resulting image for the maximum pixel value reported. If it is 65,535, enter this under Maximum ADU. If, like for my camera, it is 64,000, enter this under Maximum ADU. The above set options are representative of my particular monochrome CCD camera. 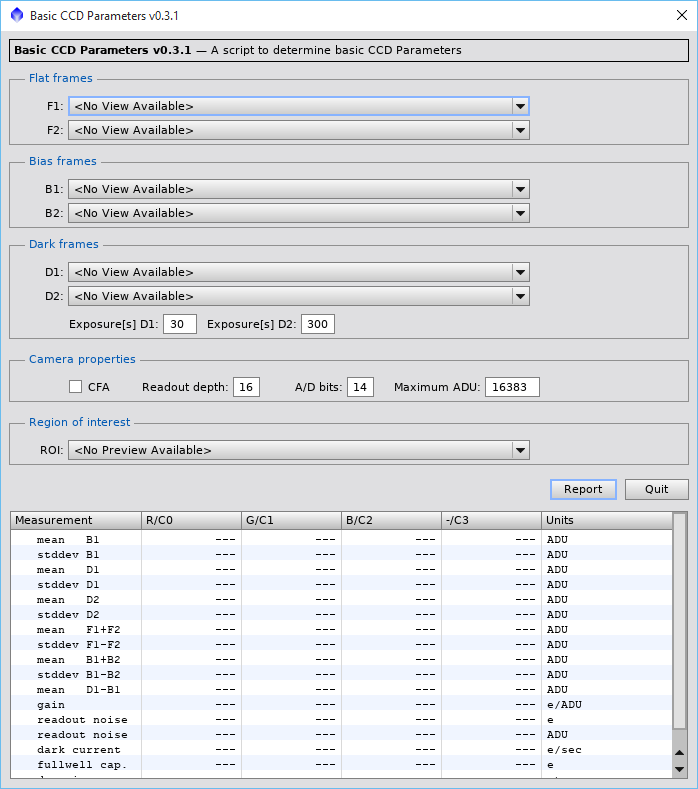 Once done, simply click the Report button and the left-most column (labelled R/C0) on the bottom of the script will quickly be populated with numbers. ​Given the strong correlation between obtaining these camera sensor parameters manually and via the PixInsight script, it gives confidence in the values obtained through the PixInsight script. Using the script saves a decent amount of time as everything is done for you. A final note is that if you wish to calculate a more precise value of Gain than the three decimal places provided by the script (which should suffice! ), you can simply divide the Full Well Capacity value given by the script by the Maximum ADU value you entered into the script. In my case, this would mean dividing 11,593.067 by 64,000, giving 0.181141671875 e for Gain. The precision provided by the script is generally good though and no extra precision is needed for practical purposes but your OCD may vary. 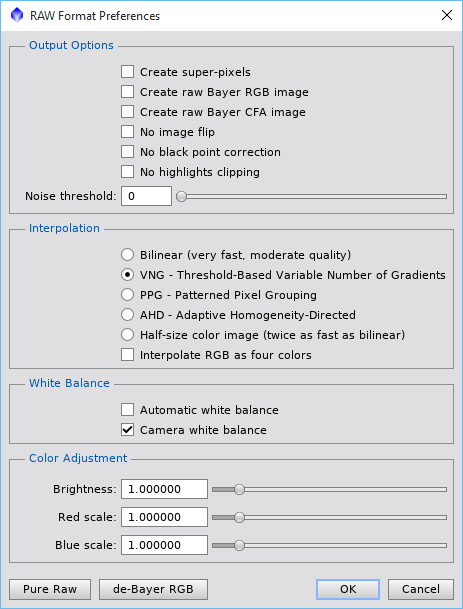 CCD camera users (both monochrome and one shot colour) should remember that changing binning modes to say, 2x2, will vary these camera sensor parameters significantly. Most CCD cameras automatically select a different Gain setting when binning but some, like QSI's, allow the user to select High Gain or Low Gain settings whether they are binning or not. In this case, High Gain is used for no binning (1x1) and Low Gain is used for binning (e.g. 2x2). In any case, if you use binning, you will want to capture two bias, two dark and two flat frames while binning and repeating this procedure to determine your camera sensor parameters while binning.